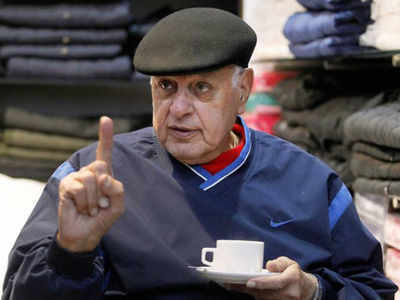 LUDHIANA: Jammu and Kashmir National Conference patron Dr Farooq Abdullah on Saturday lambasted Pakistan following a terror attack on an Army camp in Jammu and asked the neighbouring nation to stop sending terrorists if it wanted to improve relations with India. He said “war cannot solve any problem” and could lead to bad consequences. “Thus to avoid war with India and improve relations with the neighbouring country, Pakistan must stop the daily routine of sending trained militants to India,” Abdullah said while talking to the media at Mulanpur Dakha, 25km from here. The NC leader suggested that representatives of both the countries should sit together and sort out the matter. Earlier in the day, Jaish-e-Mohammad terrorists struck at an Army camp on the outskirts of Jammu city, killing one junior commissioned officer (JCOs) and injuring six others, including a Major and a daughter of an Army personnel.